The world is full of potential high-impact terrorist targets, from crowded passenger planes and diplomatic embassies to all kinds of densely populated public spaces. It’s no small wonder, then, that counterterrorism can be one of the most difficult and dangerous forms of security to enforce. Some counterterrorism operations end in success, but over time there have also been a number of noteworthy failed missions. Although many lives have been saved, sometimes there are fatalities. Yet while the less successful attempts may be upsetting, they can offer important lessons for future operations. Read on for 10 of the most significant counterterrorism actions involving hostages in recent history. On November 26, 2008, at around 8:00 p.m., 10 members of Pakistan-based militant group Lashkar-e-Taiba came ashore at two separate sites in Colaba, Mumbai, using high-performance inflatable boats. Over the next few days, they staged a dozen well planned shooting and bombing attacks throughout the city. Each terrorist was equipped with an AK-47, an automatic revolver, eight grenades, credit cards, and a substantial amount of ammunition. Local police seemed relatively ineffective in stopping the attacks, although members of the Mumbai Anti-Terrorism squad managed to pursue two of the insurgents from Chhatrapati Shivaji Terminus station, killing one and arresting another, Ajmal Kasab, following running gun battles. By the morning of November 27, the surviving terrorists were holed up in the Taj hotel, the Oberoi Trident hotel and Nariman House. India’s elite National Security Guard (NSG) was called in. Eventually, the NSG and other security forces managed to eliminate the remaining terrorists in the hotels and Nariman House and rescue hundreds of hostages. 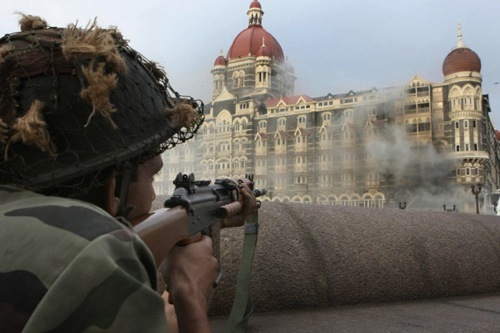 All three buildings were declared cleared on November 29, after the final siege had concluded at the Taj hotel. Delhi-based NSG forces were denounced for taking 10 hours to get to the sites. During the attacks, hundreds of people were wounded and at least 166 – mainly civilians – were killed. All the terrorists were dispatched, with Kasab later executed. Operation Jaque was a bold counterterrorist mission carried out on July 2, 2008 to rescue a group of 15 hostages held captive by the Colombian guerrilla organization Fuerzas Armadas Revolucionarias de Colombia (FARC). Those being held comprised three American military contractors, former presidential candidate Íngrid Betancourt, and 11 members of the Colombian police force and military. The hostages had been held for anywhere between five and ten years. To prepare for the operation, a spy was reportedly planted within the guerrilla organization at least one year before the raid. The hostages were also kept under extensive surveillance using motion detectors and video cameras. The rescue mission involved tricking members of FARC into believing that a group of Colombian soldiers were members of a non-government organization who would fly their hostages to a fellow rebel leader. 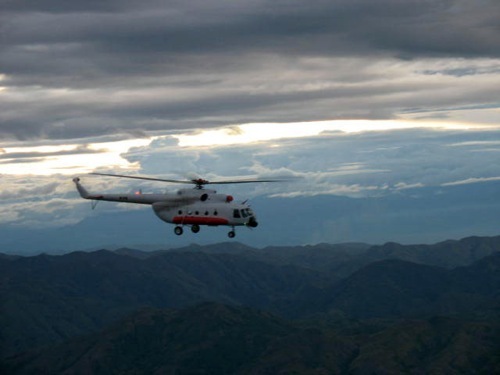 Two helicopters carrying soldiers in disguise as cameramen, journalists, guerrilla fighters and aid workers arrived at the landing area in Guaviare where they were met by militants. Once the hostages were loaded on board and the choppers were in the air, the soldiers successfully captured the two escorting militants. No shots were fired, and all 15 hostages were evacuated safely. 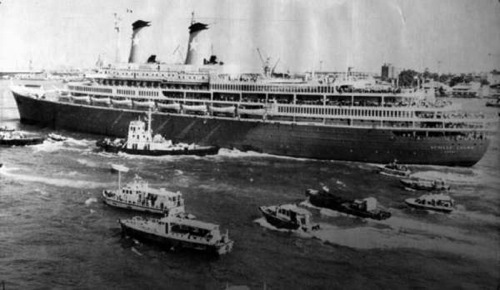 The October 7, 1985 hijacking of Italian cruise ship the Achille Lauro stunned the world. Four armed Palestinian Liberation Front (PLF) militants took control of the ship in the waters off Egypt and demanded that 50 Palestinian prisoners being held in Israeli custody be released. On October 8, after being denied permission to dock at Tartus in Syria, the PLF militants carried out their most shocking act: the execution of Leon Klinghoffer, a 69-year-old retired Jewish man in a wheelchair. The militants forced members of the ship’s crew to throw Klinghoffer’s body and wheelchair overboard. On October 10, the boat arrived at Egypt’s Port Said, whereupon the Egyptian government agreed to give the hijackers safe passage aboard a commercial airliner in exchange for the hostages. However, following orders issued by US President Ronald Reagan, the airliner was intercepted on its way to Tunisia by F-14 Tomcats and forced to land at a NATO base in Sicily. The four PLF militants were arrested, although the mastermind behind the plan, Muhammad Zaidan, managed to escape. 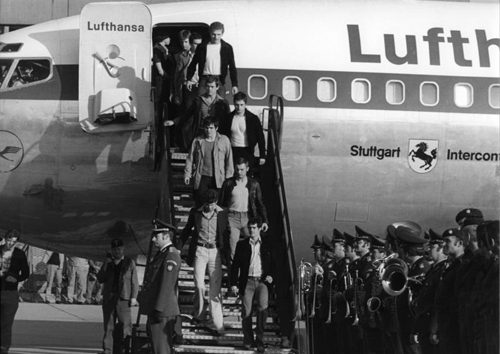 On October 13, 1977, Lufthansa Flight 181 was seized in midair by four hijackers from the Popular Front for the Liberation of Palestine, a group of left-wing extremists. The attackers forced the plane to fly to various destinations for refueling – including Rome, Larnaca, Bahrain and Dubai – before they reached Mogadishu in Somalia on October 17. The hijackers had already executed the plane’s captain for failing to follow instructions, so the West German government knew that they needed to act quickly to save the remaining people on board. Without permission from the Somali government, a group of 30 members of the West German counterterrorist group CSG 9 were flown to Mogadishu under the codename Operation Feuerzauber (Fire Magic), and thanks to negotiations, they were allowed to land. The plan was to approach the plane using its blind spot and then enter it via its escape hatches and doors. Early in the morning on October 18, Somali soldiers started a diversionary fire ahead of the aircraft. Commandos then burst into the plane, killing two of the terrorists at the scene, mortally wounding a third, and capturing the fourth. All 86 remaining hostages were escorted safely from the scene, and German Chancellor Helmut Schmidt was commended for his decision to take action. One of the most infamous failed attempts at counterterrorism occurred at the September 1972 Munich Olympic Games. It was the first Olympics to be held in Germany since the Nazi era, so security was intentionally relaxed in order to present an open and friendly image. This proved costly. 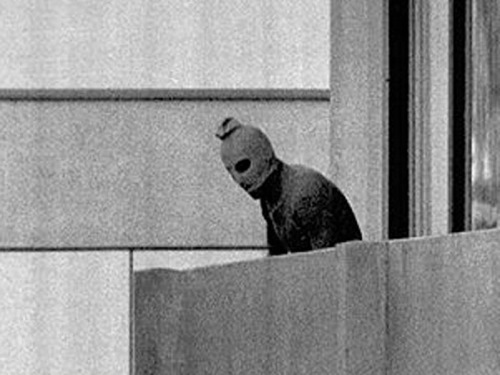 At 4:30 a.m. on September 5, a group of eight Palestinian terrorists from the Black September group climbed over the fence surrounding the Olympic Village. They shot and killed Israeli wrestling coach Moshe Weinberg and weightlifter Yossef Romano, which left them with nine Israeli hostages: a mix of athletes and trainers as well as a weightlifting judge. A huge tactical error was then made when German police were filmed on live TV getting into position to attack the kidnappers – thus alerting them to what was coming – which forced the first rescue attempt to be called off. Next, authorities pretended to agree to the Palestinians’ demands to be transported to Cairo and arranged for them to be taken to Fürstenfeldbruck air base. The authorities planned to ambush the attackers when they arrived there. However, the police underestimated the number of terrorists and were poorly coordinated and under-trained, which resulted in a bloody fiasco. Two of the kidnappers were killed by gunfire, while the six others took cover. A German policeman was also killed. Then around midnight, following the arrival of armored personnel carriers, the remaining kidnappers massacred all nine of their captives with automatic weapons and hand grenades. They then made a panicked attempt to escape in which three were shot dead – one having been tracked by police dogs – and three were captured. When the captured kidnappers were later released after the Lufthansa hijacking, the Israeli government responded with “Operation Wrath of God” and “Operation Spring of Youth” – hunting down Palestinians believed to be connected to the attack. The Munich incident is a lesson in how easy it is for a counterterrorism operation to go badly awry. This 2012 event is particularly alarming because it involves terrorists whose origins and motives remain largely a mystery. What is known is that on August 26, a group of around 17 armed men took five locals hostage from a remote village in the Georgian district of Telavi. Their actions sparked the bloodiest incident in Georgia since the country’s five-day battle with Russia in August 2008. According to reports, on August 28, the armed men then captured members of the Georgian border patrol. A higher-ranking patrol guard offered himself as a hostage, so long as everyone else was released. Thanks to his quick thinking, the militants let the civilians and the rest of the patrol go. Later, the kidnappers “swapped” the border guard for a Georgian Interior Ministry official. The group were then lured to an ambush site, and a government sniper killed one of them. This prompted a gunfight in which three Georgian soldiers were killed and five others were wounded. However, in the end all of the hostages were successfully rescued, while 10 of the remaining militants were killed and one was captured. 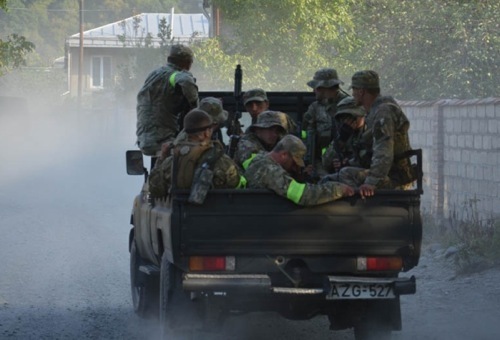 The identity of the group involved is still unknown; media speculations include Chechen militants and Dagestani insurgents, while early reports simply referred to them as “saboteurs.” The operation was officially concluded on October 30, following the burial of four of the suspected perpetrators. The hijacking of Garuda Indonesia Flight 206 was carried out by members of Komando Jihad, a group of Islamic extremists from Indonesia. On March 28, 1981, five members of the group took control of a DC-9 aircraft on an Indonesian internal flight and ordered that they be taken to Colombo, Sri Lanka. However, after refueling in Malaysia, the plane changed course and headed to Bangkok’s Don Mueang Airport. There, the terrorists demanded $1.5 million and the release of imprisoned members of their insurgent group. In order to rescue the 57 hostages, a dozen Kopassus commandos from Indonesia’s army were flown into Bangkok. On April 1, they stormed the plane, shooting and killing four of the hijackers. Another of the hijackers died on a flight to Jakarta for unknown reasons. The leader of the militants, Imran bin Muhammad Zein, was tried and handed the death sentence in Jakarta a few weeks afterwards. No passengers were killed in the mission, although the pilot was shot and later died. 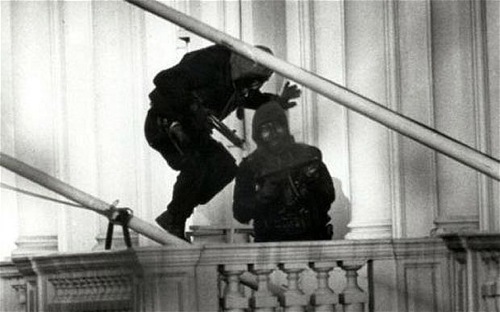 On April 30, 1980, a group of six men carrying weapons burst into the Iranian embassy in London and took 26 hostages. The militants – members of the radical Iranian terrorist group the Democratic Revolutionary Front for the Liberation of Arabistan (DRFLA) – demanded the release of 91 Arab prisoners being held in Khūzestān, Iran, as well as a safe route out of the country. At 7:23 p.m., one team of SAS troopers lowered themselves down from the roof, while another team eased a stun grenade into the building using a skylight. In the brutal battle that followed, five of the militants were killed, one was arrested, and a further hostage died, with two others wounded. Policeman Trevor Lock, who had been taken hostage, won the George Medal for tackling militant leader Oan Ali Mohammed during the operation to stop him from attacking SAS soldiers. 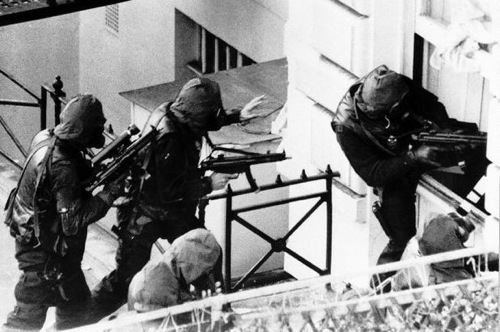 The raid, which was broadcast live on a public holiday, was seen by millions of people across the UK, and it was an important moment in British history, especially for the SAS. The SAS regiment was overwhelmed with potential new recruits, and Sergeant John McAleese, who led Operation Nimrod, is regarded as a national hero. On June 27, 1976, an Air France flight carrying 248 people was hijacked and flown to Entebbe Airport in Uganda by members of the Popular Front for the Liberation of Palestine and German terrorist organization Revolutionary Cells. The hijackers were aided by pro-Palestinian Ugandan forces, who allowed at least a further four hijackers to join the group. 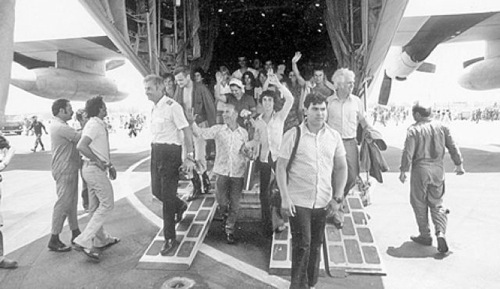 Although 148 non-Jewish hostages were released over the next few days, over 100 Jewish and Israeli prisoners, as well as the pilot, remained in the terrorists’ clutches. The militants demanded the release of 53 prisoners who were being held in Israel and other countries. They gave a deadline of July 1, after which, they warned, they would start killing the hostages. The Israeli government managed to extend the deadline by announcing that they would be entering into negotiations – whilst secretly planning a dangerous raid to rescue the hostages. A task force of around 100 Israeli commandos was dispatched to Entebbe Airport in transport aircraft. Driving a black Mercedes that resembled Ugandan president Idi Amin’s car and Land Rovers like those in Amin’s entourage, the commandos managed to get through the airport checkpoint with minimal incident. They then stormed into the airport terminal, successfully rescuing all but three hostages, killing all the terrorists, and destroying 30 fighter planes belonging to the Ugandan Air Force. This 126-day siege began on December 17, 1996 when members of the Movimiento Revolucionario Túpac Amaru (MRTA), a Peruvian Marxist revolutionary group, stormed the residence of the Japanese ambassador in Lima and took hundreds of high-profile diplomats, officials and businesspeople hostage. The guerrillas issued a series of demands to the government of Peru, including reform of the country’s neoliberal economic policies and the release of comrades of theirs from Peruvian jails. Negotiations between the two parties continued for several months, but in the meantime, Peruvian president Alberto Fujimori was secretly having a commando team trained to rescue the hostages. The mission was codenamed Operation Chavín de Huántar. In preparation for the attack, mini microphones and video recorders were sneaked in to the hostages. They were also smuggled light-colored clothing to distinguish them from the militants. On April 22, 1997, more than four months after the takeover, 140 commandos charged into the residence with the help of well-placed explosive charges. All 14 MRTA members were killed, and all but one of the hostages were successfully rescued. 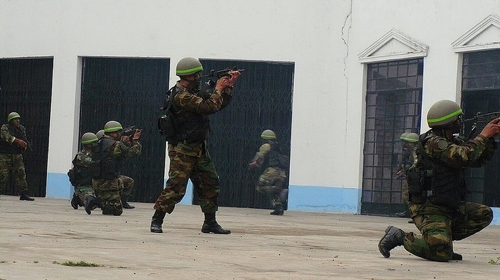 Two Peruvian commandos were also killed in the attack. The spectacular rescue was marred by reports that a number of the guerrillas had been executed after surrendering. Nevertheless, Fujimori was initially praised for the ruthless efficiency of the assault. His domestic approval ratings soared to 70 percent, and he was celebrated as a national hero.